Don Mock’s musical upbringing probably closely parallels that of any guitarist who started out in the 60's. As a teenage athlete, Don’s competitive spirit spilled over into his early playing experiences as all the local players tried to see who could learn the latest and fastest solos from rock guitar hero's like Alvin Lee, Eric Clapton, Jimi Hendrix and Mike Bloomfield. 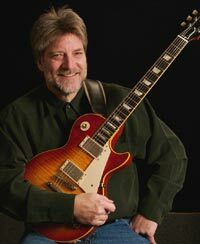 Don's reputation grew from the rock/blues guitarist to the jazz guitarist in the Northwest. His ability to quickly learn the styles of other guitarists turned out to be quite an advantage in the long run. After evolving through the various rock, blues and jazz phases, borrowing from all the best, Don is now the master of his own style, a style that is literally a "fusion" in the purest sense of the word. Don is well known among guitarists for his amazing technique and total command of the instrument. His improvising concepts have been documented in several instructional books including: "Hot Licks," "Fusion - Hot Lines," "Artful Arpeggios," "Ten," a three book series for Warner Bros./Alfred, "Guitar Scale Secrets" and his three book “Guitar Axis Masterclass” series. 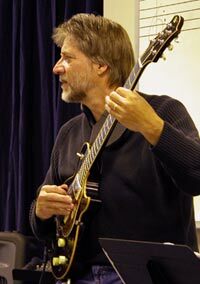 His recent works include “Modal Mojo” which is an in-depth workshop and play-along series on modal playing and “Mastering the Dominant Chord.” He also has three instructional videos: "The Blues from Rock to Jazz," "Jazz Guitar Tips" and "Jazz Guitar Rhythm Chops." 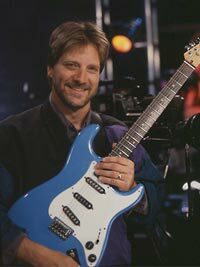 Growing up in Seattle, Washington, Don played in several of the areas top rock and jazz bands. He began his teaching career in 1972 at the Cornish School and Olympic Jr. College, both in Washington State. In 1974 Don met guitar legend Howard Roberts and soon managed guitar teaching seminars in the Northwest for Howard. In 1977, Howard brought Don to Los Angeles to help start the Guitar Institute of Technology (GIT). Don became a primary instructor and curriculum author for the school. That same year, Don teamed up with publisher Roger Hutchinson (REH) to write and produce guitar method books. Don taught full time at GIT until 1983 when he began a part-time arrangement commuting back and forth from Seattle to LA. He also traveled around the U.S. and to Europe giving seminars to promote GIT. In L.A., Don had an exciting fusion band and performed at most of the top jazz venues. The band developed a large following of students and fans alike. He became well known for his intense style and amazing guitar synthesizer. Don performed with a virtual “who’s who” list of guitar and bass players during his years at GIT. He was often called on to perform at the school with a virtual “who’s who” list of guitar and bass players such as Pat Martino, Robben Ford and Larry Carlton to name a few. In 1983, Don was brought in to direct most of GIT's 300 plus videos. And in 1988, when REH began its very successful instructional video line, Don was hired as the primary director and producer. His talent and expertise as a player and teacher, as well as video producer, have been a huge benefit to the many artists who have been featured in REH/Alfred videos. Artists include: Joe Pass, Allan Holdsworth, Robben Ford, Scott Henderson, Herb Ellis, Steve Morse, Paul Gilbert, Pat Martino, Albert Collins, Frank Gambale, Al DiMeola, Keith Wyatt, John Petrucci, Joe Diorio, Clint Strong and many more. As a recording artist, Mock has appeared as a sideman on several albums and has two solo efforts: "Mock One" and "Speed of Light." In addition to his musical pursuits, Don is also a life-long fan of unlimited hydroplane racing, and has produced, and written music scores, for several boat racing video productions including his highly acclaimed six-hour documentary on racing legend Bill Muncey. He heads up the Hydroplane and Raceboat Museums video productions adding his unique compositions and guitar talents to the programs. Don currently teaches and helped develop the Roberts Music Institute in Bellevue, Washington with Jay Roberts, son of Howard Roberts. Don and Jay also have an exciting guitar duo and can been seen performing throughout the Seattle area. AUDIO DOWNLOADS: Audio tracks are available on iTunes, Amazon Mp3, Rhapsody and other online sellers. To receive a free audio sample from the MODAL MOJO series via email, send an email to mock@guitaraxis.com with MOJO in the subject line and we'll add you to our list.